I made a lot of coleslaw after going to a St. Patricks Day Parade in Slidell Louisiana several years ago. They not only throw beads like the traditional Mardi Gras parades, they also threw fresh cabbages, carrots and potatoes. I had to make something out of all that free cabbage so I am sharing a few of my ideas with you. 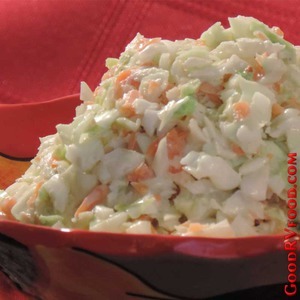 This is my fastest and easiest coleslaw recipe that serves as a foundation for almost every other slaw recipe I make. 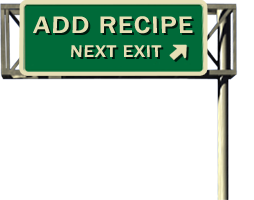 It is easy to add any fresh vegetable you can find or customize the flavor with almost any kind of spice in your RV pantry. In a large bowl mix the mayonnaise, vinegar and sugar, adjusting to your taste. Add more vinegar to make it more tart or more sugar to make it more sweet keeping in mind that it will be mixed with cabbage. Shred the cabbage with a sharp knife, or just open a bag of pre-shredded cabbage if you wish. Combine everything in the bowl and stir to evenly coat. Keep any leftovers covered in the refrigerator for up to three days but stir before serving to redistribute any cabbage liquid that may have separated.